Every now and then there comes a brand whose innate uniqueness makes it stand out above the rest. 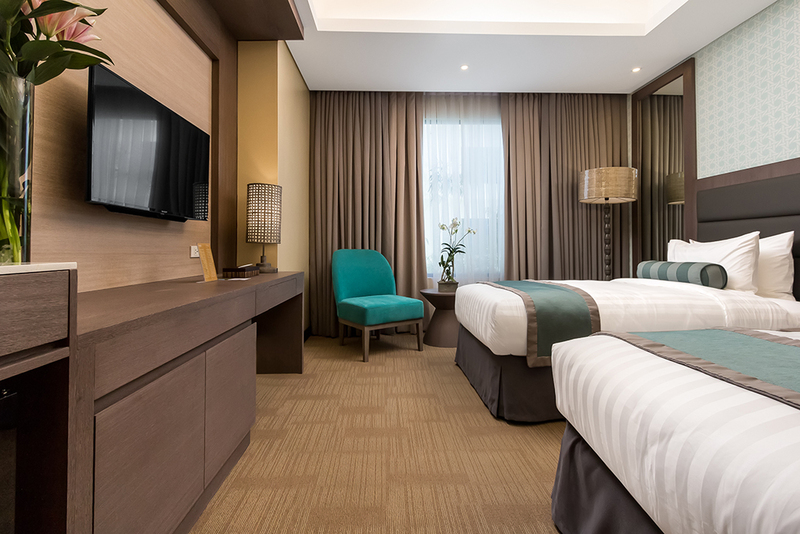 One such brand is MAAYO—whose integrated hotel and wellness complex in Mandaue, Cebu is the first of its kind in the country. As a brand, Maayo effectively caters to our most fervent dream—to be able to age and stay well through the years. In fact, this dream is why people have become truly passionate about their health and well-being, caring for themselves more and becoming more conscious about their lifestyle. But wouldn't it be a treat if you could combine a weekend wellness and beautification outing with a relaxing and rejuvenating weekend staycation in a beautiful hotel? It definitely would and the good news is that this is exactly what Maayo offers to those who want to combine beauty, wellness, and relaxation in one complete package. Maayo Hotel and Maayo Well comprise Cebu's first four-star hotel and wellness complex, which combines top-of-the-line hotel services, game-changing integrative medicine, and professional aesthetic services in one world-class facility. It is currently at the forefront of the country's burgeoning medical-tourism industry with its world-class complex that provides an integrated line of services aimed at providing a holistic patient-centered wellness experience. Located on Plaridel Street, Mandaue City, 15 minutes from the Mactan International Airport, the Maayo complex is near Mactan Island's pristine beaches as well as Cebu's bustling metropolis, shopping destinations, and entertainment hubs. And these are only more reasons to go. 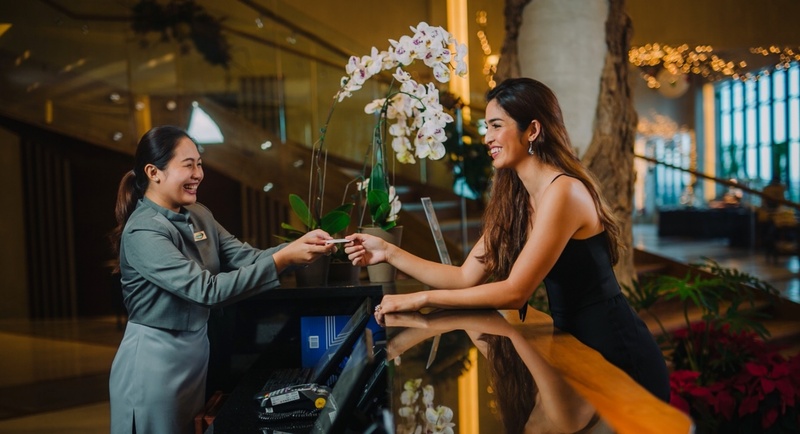 "Maayo" in Cebuano means good, kind, or well--a reflection of what the hotel stands for in terms of its people, the place, as well as its services and facilities. "Maayo" represents wellness, beauty, and recuperation, particularly for those who need to not only strike a work-life balance, but would also like to feel good about themselves. Maayo Hotel is the hospitality component of the facility and serves as both a haven for travelers and vacationers and a wellness sanctuary for those wanting to experience Maayo's holistic services. From the moment the guests step into the lobby and take the first sip of the complimentary fruit drink to the minute they receive turn-down service that comes with petite desserts to cap off their day—they will feel like royalty. Whether guests stay at a standard room or a suite, the empathy used to imbibe each room with thoughtful personality is strongly felt. Maayo Hotel has 229 guest rooms painted in soothing hues and palettes that inspire relaxation and solace. It is also equipped with function rooms, a gym and spa, an infinity pool with a panoramic view of the city, as well as an outdoor jogging trail, and a space for yoga. In turn, Maayo Well is the wellness and beauty component of the facility and is a modern outpatient clinic designed to provide a seamless guest-centered wellness experience. Maayo Well offers world-class outpatient services--these are medical procedures and tests that can be done without an overnight stay, many of which can be done in a few hours. Maayo Well offers ambulatory care services and surgeries in the lines of general medicine, dental, aesthetic, nutrition, physical wellness, as well as gender-specific wellness. And these are performed by internationally and locally trained field specialists. You can get a well-deserved, expertly executed, hydrofacial, lightening or age-defying facial. Body toning Discovery PICO treatment, body-contouring Exilis, restorative dentistry, oral prophylaxis, rejuvenating health drips and infusions, are also part of the Maayo Well's repertoire. Although Maayo Well offers many health-centered services, unlike a hospital, there is no intimidating clinical vibe and no harsh smell of medicine and hospital chemicals. It is even a rarity to see staff and doctors roaming the halls as if they were doing their rounds. This is to ensure that guests do not get the stiff and overwhelming hospital vibe that oftentimes scares them and makes their medical experience stressful. A unique but important element of Maayo Hotel and Maayo Well is the unparalleled discretion and security that its guests are offered. There are discrete entrances and exits in the facility for guests who prefer to make their wellness experience private or to just keep to themselves during their stay. Indeed, Maayo Hotel and Maayo Well are there to serve people who are in search of a rejuvenating place to stay and be well and help them achieve their wellness goal. Maayo Hotel is the perfect place not just for a restful staycation, but for a unique "beautication," where beauty and wellness await the weary traveler. "Maayo" in Cebuano means good, kind, or well--a reflection of what the hotel stands for in terms of its people, the place, as well as its services and facilities. "Maayo" represents wellness, beauty, and recuperation, particularly for those who need to not only strike a work-life balance, but would also like to feel good about themselves.